Santa’s Sweet Adventure at the York Chocolate Story – At the weekend we visited the York Chocolate Story to see Santa. We had a really lovely time, and the kids really enjoyed it. I shall tell you all about it so you can decide whether you would like to go, just don’t show the kids as I would hate to spoil any surprises for them! If you have ever been to the York Chocolate Story then you will know there are a series of rooms you travel through. Well Santa’s Sweet Adventure uses those same rooms but in a far more festive way! The adventure begins when we meet an elf who takes us through to meet Santa. 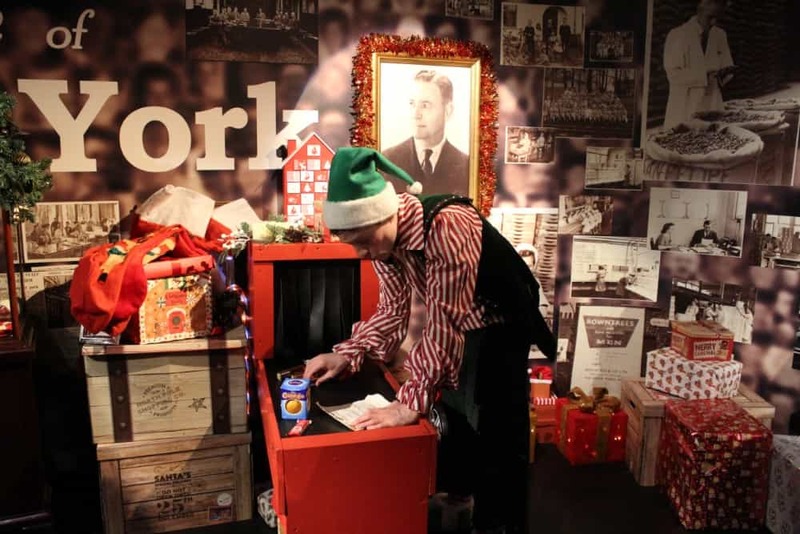 The naughty elf has lost all of Santa’s sweets as well as his presents and so the children have to help find them! Santa has a lovely chat with the children at this point and they all get to go and sit next to him for a photo. Then you go through to the next room for more time with Santa and the children dash madly about looking for the lost sweets! Next, we headed downstairs so that the children could make little bags of reindeer food and then onwards to the kitchen stations to make chocolate lollies! 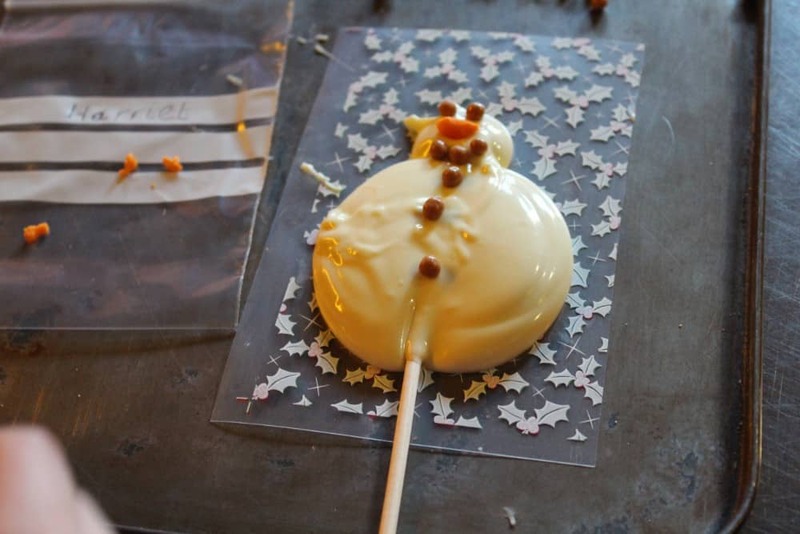 Each child was stood at their own little station and had melted chocolate poured onto their boards in the shape of a snowman which they then decorated with sweets and chocolate. Finally they got to see chocolates being made and sampled some before Santa and his elves said their goodbyes and gave each child a gift bag. 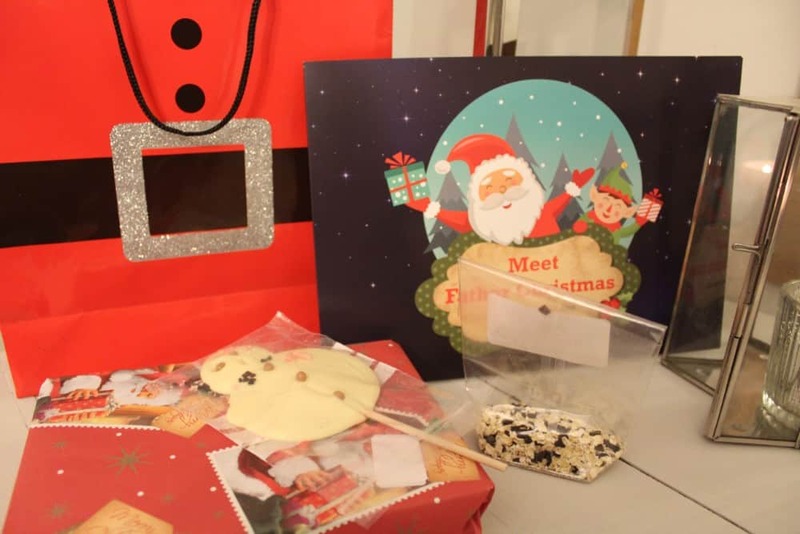 In the bags they each got a toy, the reindeer food they made, the chocolate snowman and the photo that was taken right at the beginning of the tour. 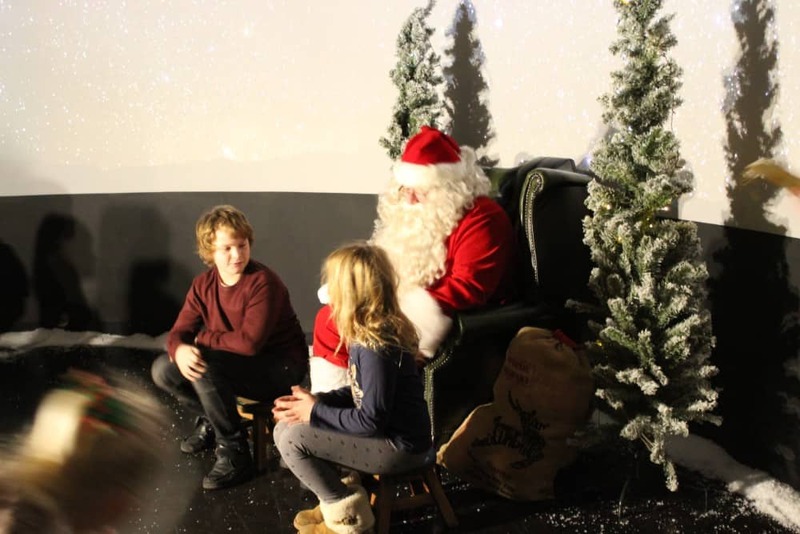 It was a lovely day with lots of time spent with Santa himself and a lovely bagful of goodies to take home. 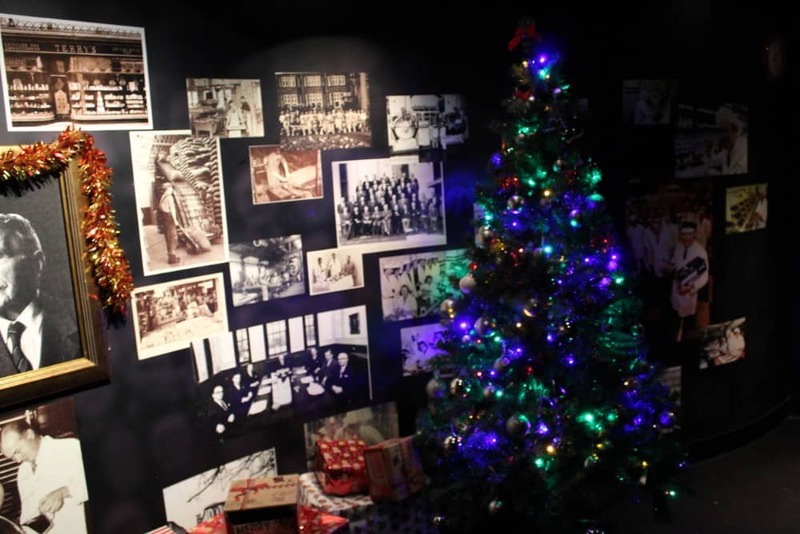 Looking for other Christmas day out ideas in Yorkshire? Have a look at our list of the best! We were invited to visit and review Santa’s Sweet Adventure, but as always, all opinions expressed are my own.